As an eyeshadow/blush/lipstick junkie, I rarely take the time to talk about my face products. Probably because my routine and the products I use are quite monotonous - I rarely switch up products apart form foundation, which changes depending on the season and the coverage I want. 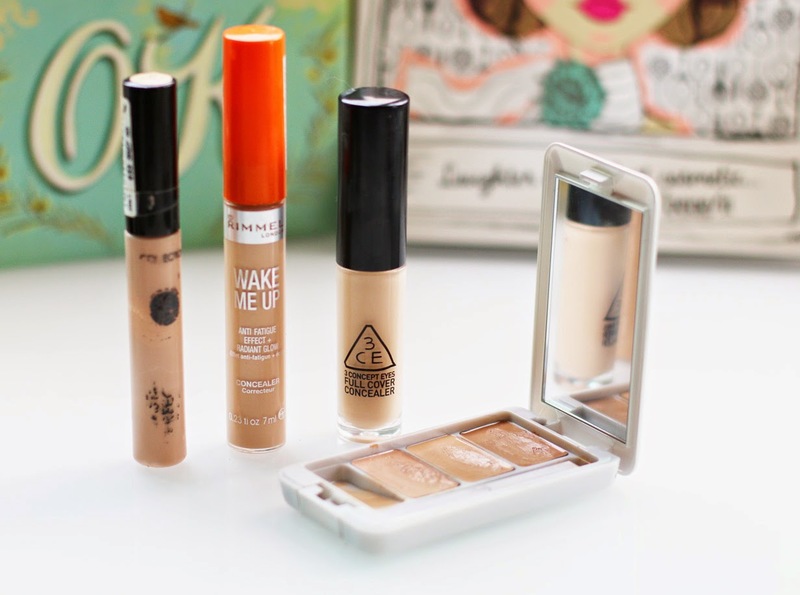 So here goes, my current favorite face products for a natural, flawless and awake complexion. I'm on my second bottle of this "magic stuff". 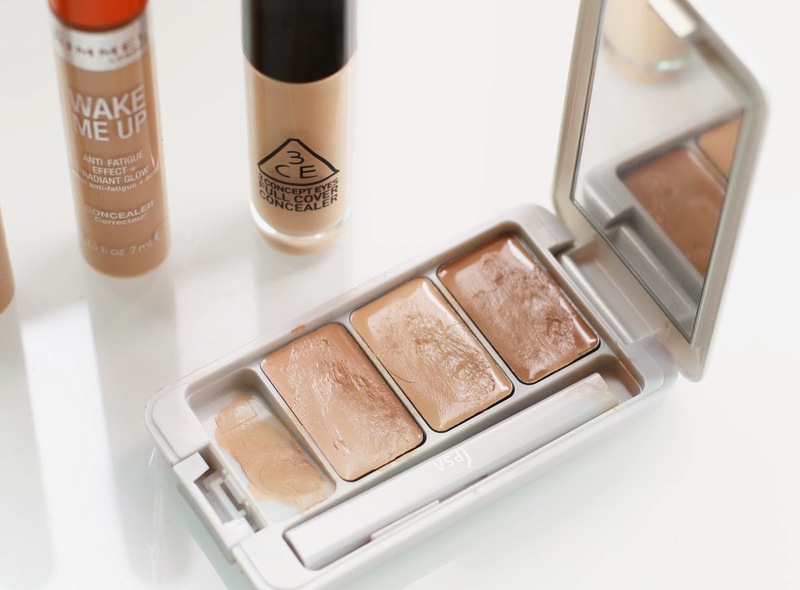 This does not disappoint - particularly when I want more of a glowy, dewy finish. This adds a hint of luminosity to my skin without making my face shine like a disco ball. I love its medium coverage that hides the majority of my blemishes and scarring. The only thing I would say is the shade range is quite limited, but I've felt safe with 100 Ivory so far. 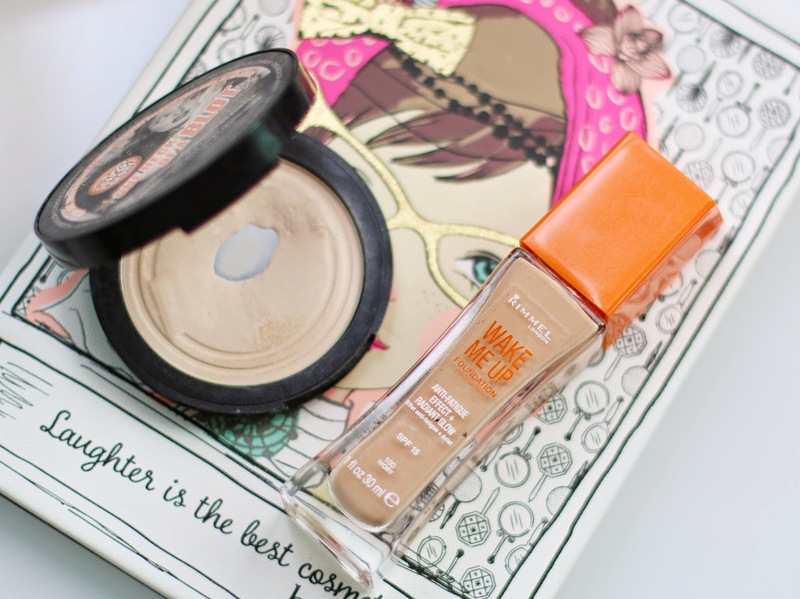 I'm sure those who have watched my videos for a while, know that I swear by this concealer (I'm on my third one!). It's hydrating and light consistency makes it easy to blend, without caking up my undereye area. Despite the name, I'd say it's more of a medium coverage concealer. Due to its light, silky texture it does blend out into a thin, breathable layer. I love the doe foot applicator, enabling me to use it on-the-go and blending out with (clean) fingers. Works well on both dark circles and blemishes - definitely a HG product for me. I have to say, I wasn't taken to this at first. For a while, I was out of my 3CE concealer and had to make do with what I got. I then found myself reaching for this a lot for my undereyes. It has an instant brightening effect, so I wouldn't recommend this for blemishes as it may only highlight them instead! Love the consistency and to an extent, the texture feels much like the 3CE concealer, so I find that this is a great substitute. A very popular product amongst bloggers, the Collection concealer is one of the concealers I reach for during the summer time. 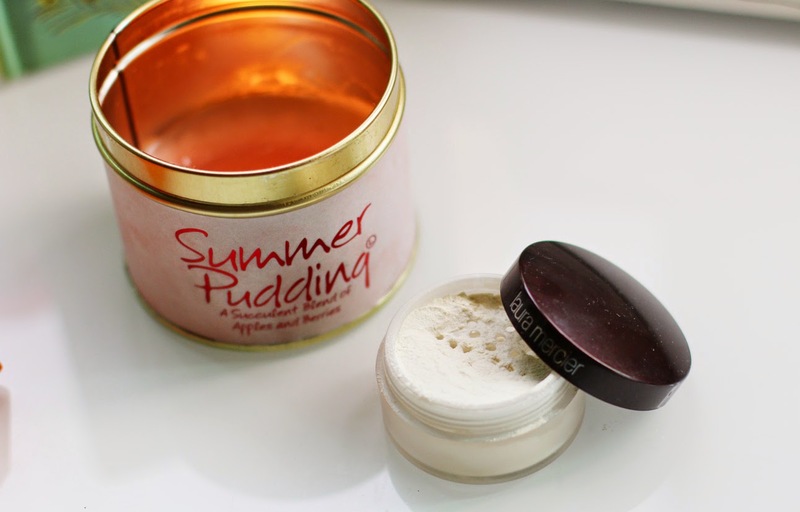 It is a bit drying, which doesn't work to my skin's advantage during the Winter as it cakes up and leaves it in an unflattering mess. I do like this, however, for blemishes if I'm needing a bit more coverage than what the 3CE Full Cover Concealer can provide. With SPF 25 PA+++, I can feel safe when using this. A concealer with SPF can help prevent premature aging and wrinkles, particularly around the eye area. I love how there are three shades to choose from, where you can easily mix colors to get the perfect shade. I mostly reach for this when my undereye circles are at its very worst. It took me a while getting used to, and figuring out what shade goes where, but once you have experimented with the shades, it does wonders to hiding those dark circles. The powder I reach for pretty much every single day - I love how this powder is so finely milled, translucent and not cakey or heavy on the skin. The finish it gives is an instant, satin-y finish without being too matte by allowing the luminosity from your foundation seep through. Recommended by my friend Suzi, I love how this powder sets the undereyes into a velvety, smooth finish. To be honest, I don't see a brightening effect. I just really love how it feels! Plus it makes my concealer last longer than usual.